So this next one will probably not make it into My Kiddo's basket (she's so young, I will just keep it for myself); but would be great for older kids and adults. 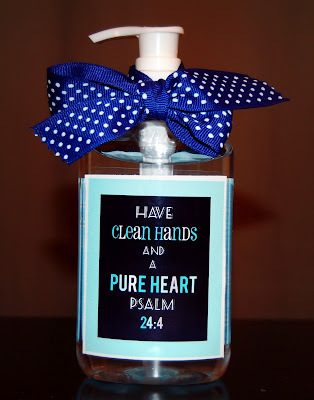 You could use this label on either hand sanitizer or soap. 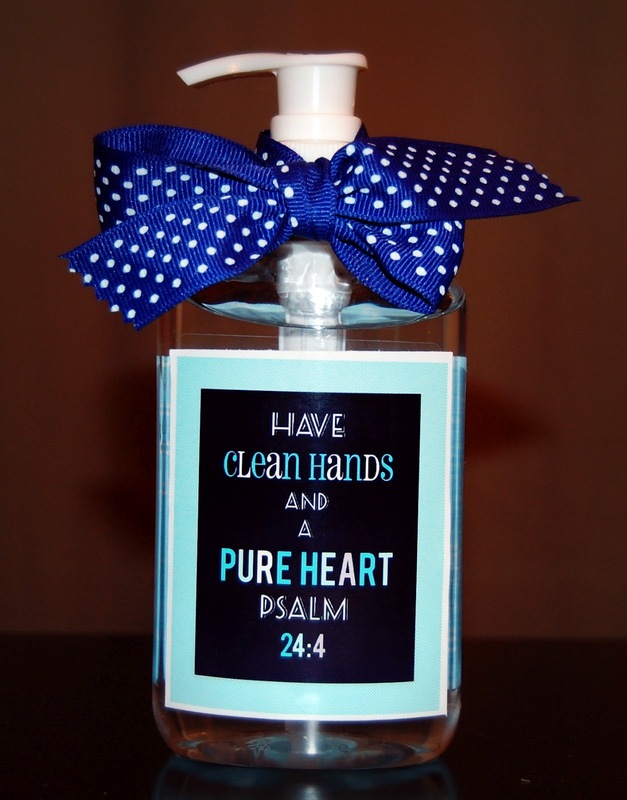 This idea was inspired by the song by Chris Tomlin (Give Us Clean Hands) which is based on Psalm 24:4. Two different color versions of this printable available for subscribers to my blog. I must confess it's one of my favorites!